A PSIM (Physical Security Information Management) system allows you to monitor and control your world-wide security operations–personnel and machine–within one system, and even from one console. This is true with the best PSIMs at any rate, and it is certainly true with GuardMetrics–Octopus PSIM. Clients including The Carlsberg Group, Coca Cola, the European Space Agency, Brinks and many more can attest to this. 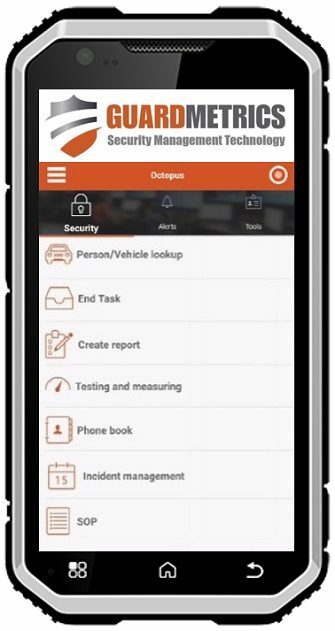 The GuardMetrics-Octopus product is perfect whether you are a security guard service seeking to efficiently monitor your officers, or a stakeholder seeking to control all your security operations through one system. This is true because the unique and invaluable feature, that completely sets GuardMetrics–Octopus apart from other PSIMs, is your ability to acquire it as a freestanding security officer management system, or as a full PSIM customized to your needs! Contact us at 800-825-6858 to request a demonstration of the SCALABLE GuardMetrics–Octopus PSIM! So you can use the state-of-the-arts officer management system alone, or you can scale the PSIM as large and comprehensive as you need it to be! And GuardMetrics-Octopus accomplishes all this from one technology platform. And even with the unmatched capabilities of GuardMetrics-Octopus scalable PSIM, the officer management price point is more cost-effective than many far less dynamic guard management systems. When you combine the powerful and user-friendly functionality of this system with our professional and attentive support, we are confident that the GuardMetrics-Octopus officer management system and PSIM will become one of your most invaluable assets. 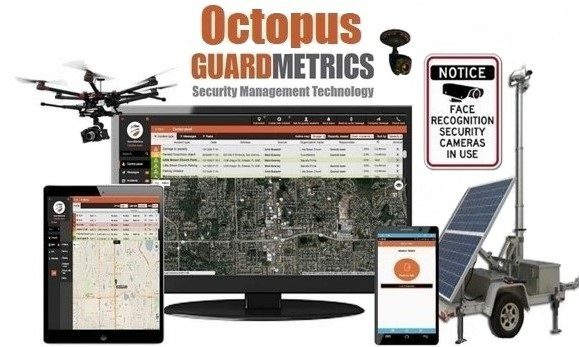 Call GuardMetrics now at 800-825-6858 to speak with an expert about the scalable GuardMetrics–Octopus PSIM!